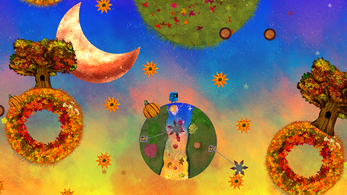 Tiny Galaxy: The Do-Over will release summer 2016 on Xbox One, Nintendo Wii U and Itch.io as well as Steam GreenLight. 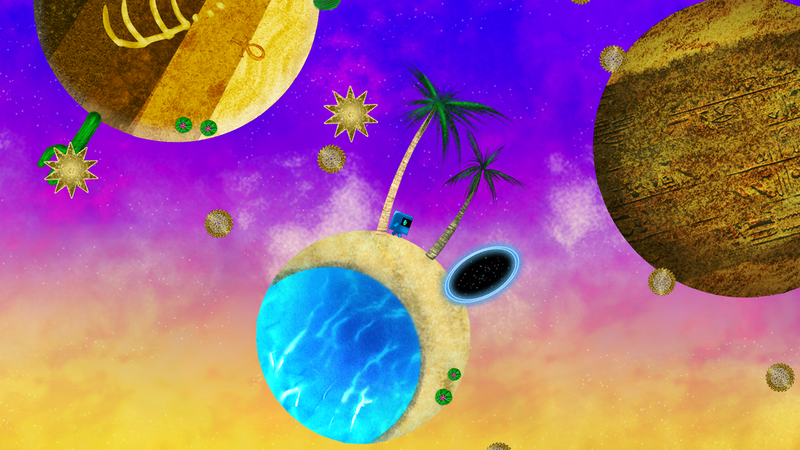 Tiny Galaxy is a 360-degree platformer that blends modern, gravity-defying jumps with a retro aesthetic. Follow Orion, a tiny blue sprite from a neighboring galaxy, on a voyage across space and time as he slays the jerks who stand between him and his prized headphones, stolen by the dastardly Big Metal Jerk. 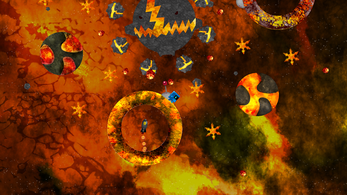 Traverse a network of wormholes spanning 8 distinct worlds and 96 levels, dodging all manner of sharp obstacles and doing battle with bosses that range from an angry buzz saw to a bloodthirsty ninja star! Tiny Galaxy: The Do-Over is a fully remastered edition of the underground Wii U hit, incorporating all-new art assets, cut scenes, bonus courses, and a brand-new EDM soundtrack for the Xbox One and Windows 10 releases. some music and sound effects etc... may be missing in this build. Feel free to email us any issues or bugs you encounter. 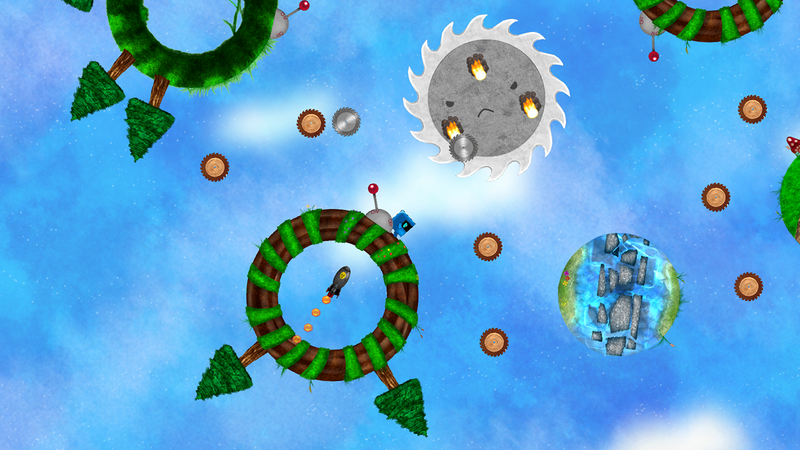 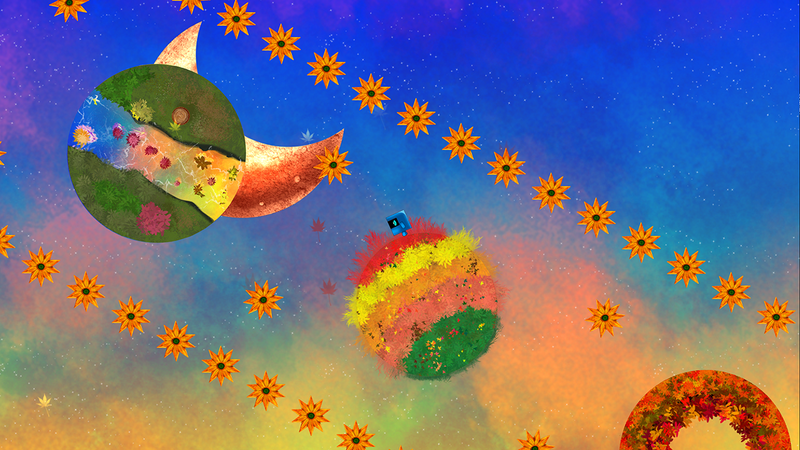 Artistic 2D Super Mario Galaxy game style. 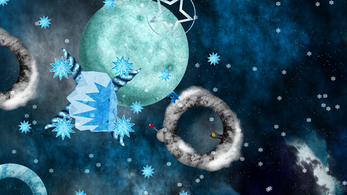 those games It resembles in concept, but with other objectives, as instead of taking a single star to pass the level, you have to take a number, and is also more difficult.